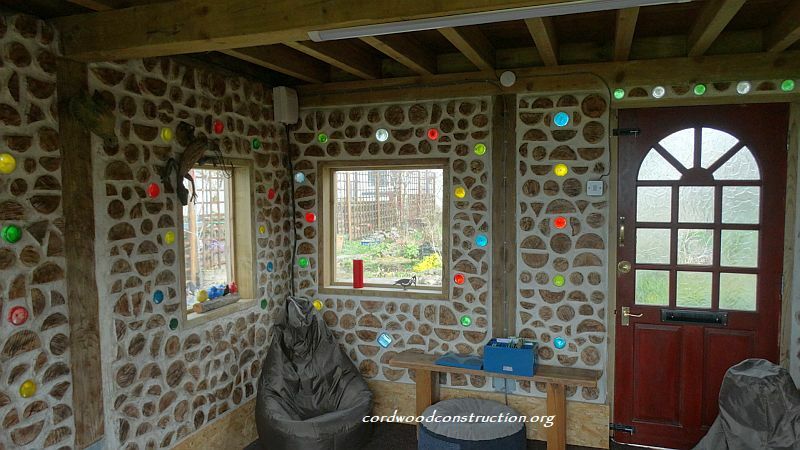 We’ve never built anything before but we’re very pleased with how it’s turned out.” Jan and Baz Whitlock sent pictures of their cordwood garden cottage in Bristol, England. 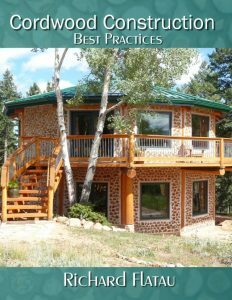 They used the ebook Cordwood Construction Best Practices as their go-to source/guide. 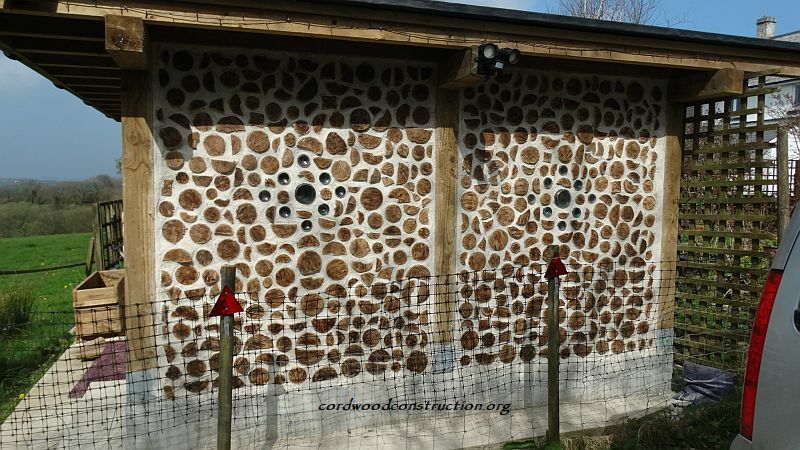 Jan & Baz write: “Here are some pics of a small cordwood build we’ve nearly finished it in the middle of our garden in the UK. 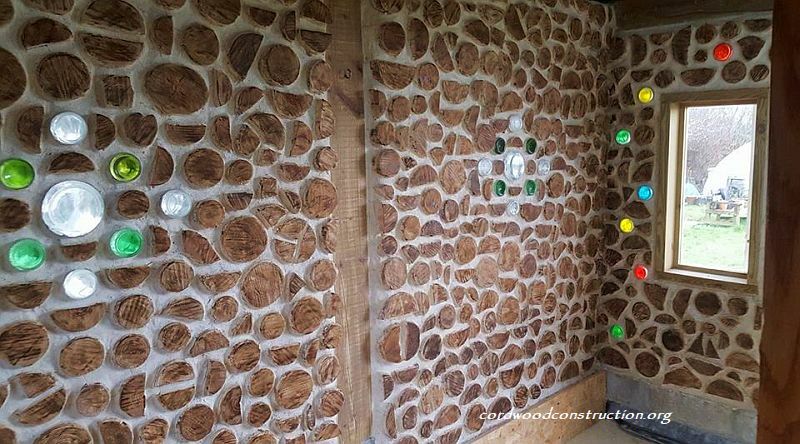 “It’s around 12 feet square, we used lime mortar, the wood is softwood-larch and pine. It’s in the garden between 2 areas. Front door to enter, back to get to next bit (side to BBQ area). 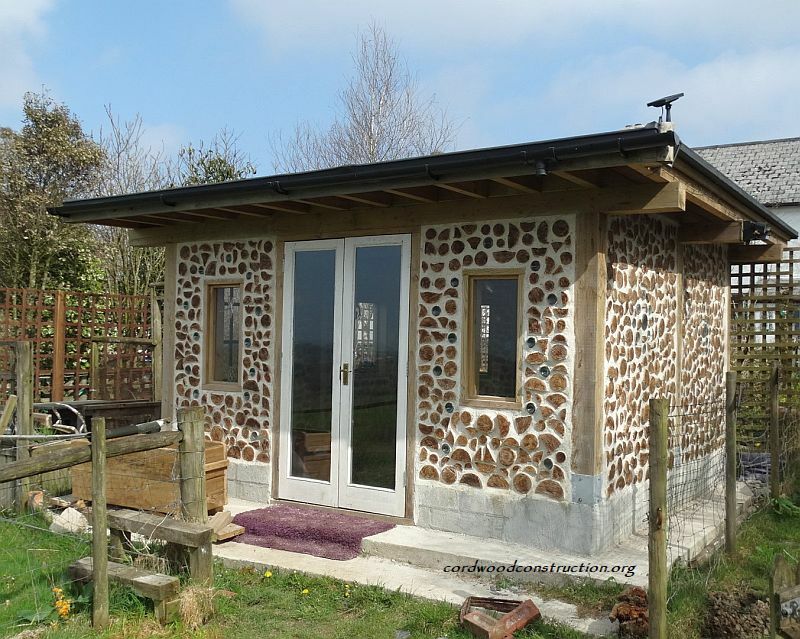 I haven’t totalled the cost-the cordwood was free, mortar not much, but the post and beam frame and roof were costly… could have been done with much smaller beams etc – we just went for chunky so it would last.“ “We still have to render the blocks once we get a bit of decent weather. We are planning to insulate in between the beams, as we have found it retains heat well. 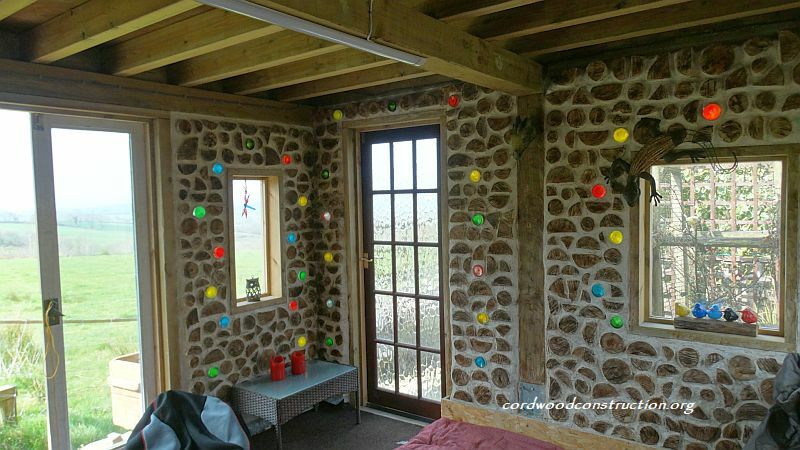 We have electric and a radiator, so it could be used as an extra room to sleep in when the family all descend on us.” It is a lovely place to sit, we have great views & it’s a perfect spot to watch the sunset. 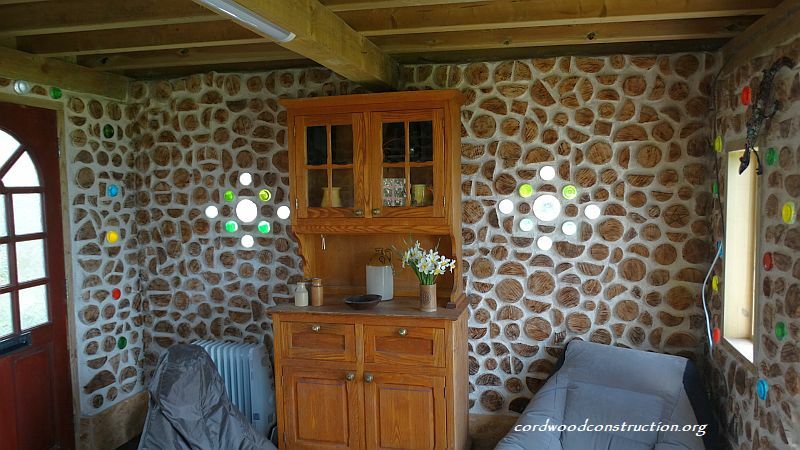 “We just used the lime mortar-there’s a lot of old stone buildings around us with thick walls, all done with lime mortar and they’re still standing and cool in the summer so we figured it would be fine.“ “We cut and dried the wood in our polytunnel for around a year, and dipped each log in a borax solution before using. The mortar was easier, as we have a nearby supplier of lime mortar, which we mixed using your instructions for lime putty mortar. We used what they call an unhaired course mix and added a bit of argical as it’s pretty damp in Cornwall. We mixed it in a cement mixer a batch at a time and after a while learnt how much wall we could do per bucket of mortar. We went back over the lime putty with disposable foam paint brushes rinsed in a bucket of water, which worked well. 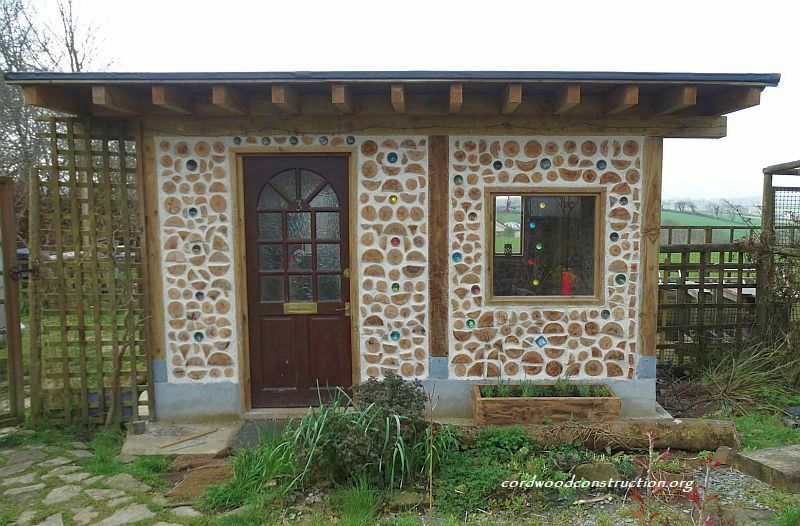 We nailed strips of wood down the door and window posts with nails protruding to anchor the mortar and used extruded foam where the mortar met the beams (again as you suggested-thank you). 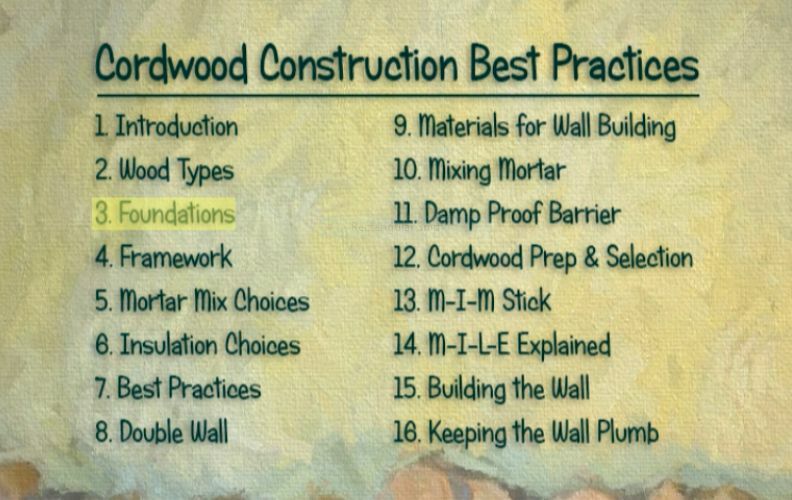 It was really good to have a range of shapes and sizes for filling awkward gaps but I often wanted little triangular ones and wood does not split into 4 evenly. (We ended up with a nice lot of kindling!) 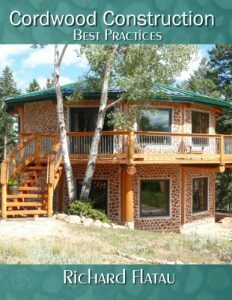 I would advise anyone attempting a build with a partner to be sure they have a good relationship, as we had quite a few heated ‘discussions’ during the process (but were always ready to tackle it again the next day)! We could only get green or clear bottles, so after cutting I painted the inside end with glass paint that is set by putting in an oven-a few didn’t take well, but the majority did and it’s nice to have some different colour in there. 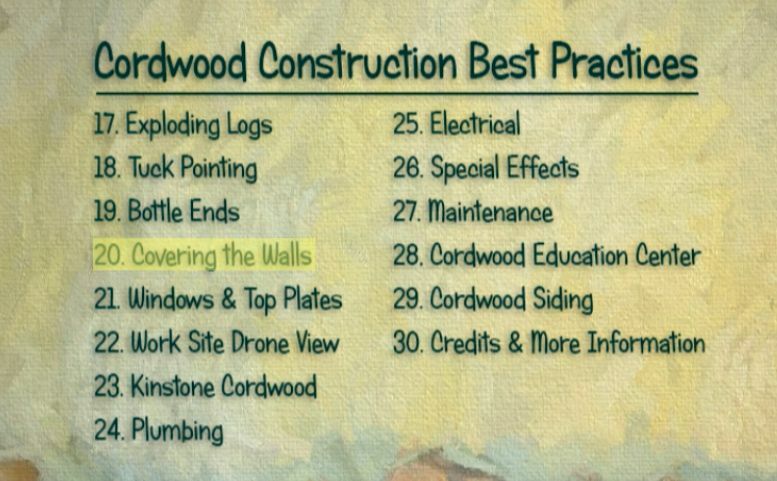 My advice would be, as yours is, to do a practice wall. We didn’t, as we didn’t have much space to do one and the first bit we did look fine until we stood back and realised the logs were too far apart and too formal (in neat rows); so we took it all down and started again. 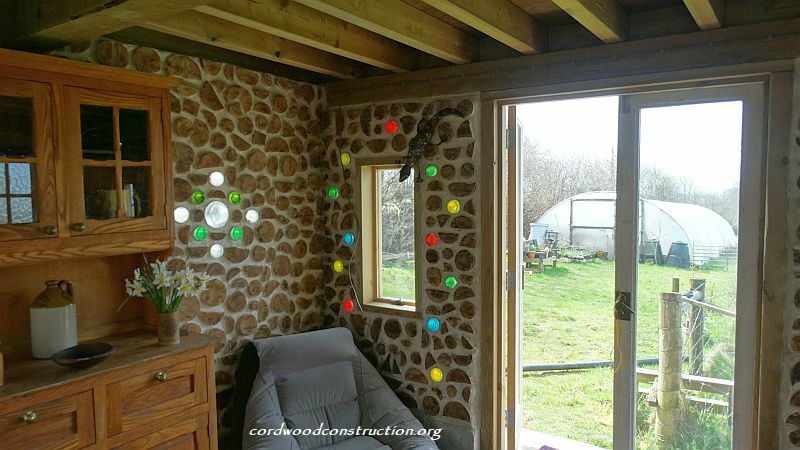 We improved, obviously as we did more, and got much quicker and our final wall (the one with no doors or windows) is much neater than our first one. 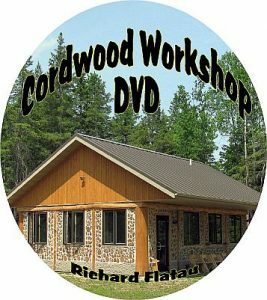 This is the Cordwood Workshop DVD will show you how to build a best practices cordwood home. The 30 detailed menu items from the Cordwood Workshop DVD.